Mineral exploration and discovery has played an important role in my life. I was born and raised in a small community in rural Manitoba where agriculture was king. I completed high school in 2001 and immediately took a job in the far north as a drill helper on a gold exploration project. In 2006 I earned a 1st class honours B.Sc. degree in geological sciences at the University of Manitoba. 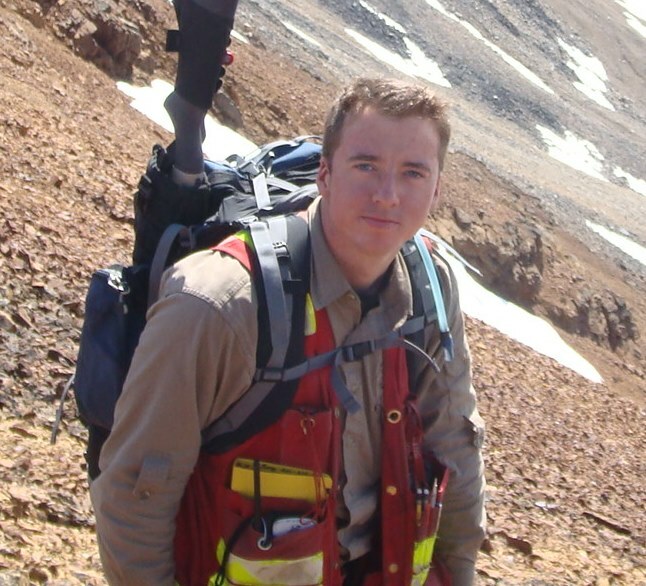 From 2005 through to 2014 I have been employed in the mineral exploration industry working with fantastic mentors at major and junior groups. While at Anglo American I developed a strong sense of logistical planning and technical reasoning leading to safe discovery. I have been actively involved in grass roots generative through advanced and established drilling and mining projects. I have had the privilege of working in remote and challenging regions such as the Canadian arctic and Alaska as well as across southern Canada from BC to Newfoundland. During the breaks from the world of geosciences, I enjoy travelling, automotive tinkering and advancing my understanding of the latest high-precision satellite positioning gear and applications to mobile GIS. Geochemistry has been successfully used in exploration for many decades. Conventional methods would include a grid of soil samples collected over a geological or geophysical target, the drill would be placed where anomalies coincide. The reality today is that the remaining high quality targets are buried under deep and or complex cover where conventional methods are likely insufficient to confidently identify the target. With the guidance of Dr. Peter Winterburn, an experiment has been designed to test this idea. Fieldwork is already underway at the Lara polymetallic VMS deposit on Vancouver Island. Prior to sampling, a detailed surficial geology map has been created to better understand the type and relative age of cover materials. At each site multiple parameters were recorded such as moisture, pH, ORP, conductivity and chlorine content. A total of 150 sites have been sampled for ICP-MS analysis of both aqua regia and deionized water extractions. New technologies are also being tested on this project such as in-ground hydrocarbon sampling technology. In late 2015, analytical results will be integrated with the field measurements and the surficial geology / terrain data to map and model the control on elemental distribution at the surface. Historical drilling data will then be digitized and used to assess the spatial relation of anomalies to bedrock mineralization. It is the goal of the study to provide immediate benefit to the exploration community in BC and beyond. The results and recommended methodologies derived from work will provide local explorers and prospectors with the knowledge to make their geochemical sampling programs more informative and cost-effective. The anticipated completion date of this project is December 2016.